“maintenance” and “from time to time, an upgrade”. India managed to bring back Khobragade, a 1999 batch IFS officer, who could have been jailed for years had the allegations been substantiated in an American court. “What I have encountered since my arrival is the sense that this situation should never have happened. But since it did, we will now have to work through this problem. That is part of the conversations underway. But what the issue does highlight is the need for greater sensitivity, for better understanding and for stronger oversight of our ties,” said ambassador Jaishankar who was earlier India’s envoy to China and the one who was a strong contender for foreign secretary’s job that finally went to Sujatha Singh’s way. 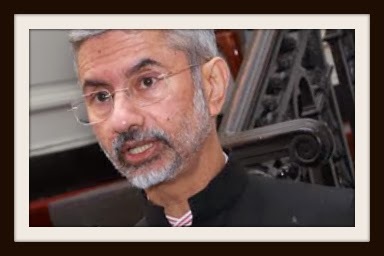 Calling the fundamentals of India-US relations as sound, Jaishankar added how the dialogues between the two nations moved well beyond the orthodox stocktaking of bilateral issues to those such as defense cooperation, counter-terrorism, homeland security, energy, education, health etc. If the fundamentals are sound, why then the sentiments are so weak? “The India-US relationship arrived - some would say, at last - and by doing so, ended the romance of the phase of courtship…As we settle into the partnership, it takes a different mindset to address the less exciting chores of maintenance, upkeep and progress. The danger here is that individual problems that may well have been dismissed in the earlier era can now dominate the narrative,” Jaishankar said. 1. It is a great pleasure to be back at the Carnegie Endowment, as indeed in Washington itself. I was last here more than six years ago, speaking at this very institution as our nuclear agreement was nearing conclusion. Since then, I have watched the India-U.S. relationship evolve with great interest and some sense of ownership. The size of the briefing books they gave me as I was preparing to come to Washington led me to believe that we have a good story to tell. Sentiment, as they say in the markets, however, seems less positive than I would have hoped, for a variety of reasons. What is clear is that there is much work to be done. 2. Looking back at the growth of Indo-U.S. relations in the last decade and a half, it is as if we were fated to come together. Now, that has not always been our history. If we closely examine the three key drivers of our ties today, the reality is that each one has a specific context. First & foremost is our geo-strategic and political convergence, something that could only manifest itself after the Cold War. The second is our intersecting economic interests. These are the consequence of higher Indian economic growth rates as well as the broader rise of Asia. The third is a mix of our shared values and societal contacts. These reflect the expanding Indian-American community and the growing middle class in India. Each one of these factors evolved over a period of time. But their coming together created the basis for the current phase of our ties. It is not as if all of this happened on its own. On the contrary, the new level of our relationship was animated by strategic vision in both nations. Prime Minister Manmohan Singh only recently singled out the coming together of the two countries, in the form of the civilian nuclear agreement, as the best moment of his whole tenure. This vision became reality due to the commitment and diligence on the part of many - on both sides. I stress this to drive home the point that our ties can neither afford dilution of attention nor weakening of faith. 3. So, where are our relations today? Politically, there is no question that our comfort levels are higher than they have ever been before. From the highest levels of the Government to the legislature and bureaucracy, we see a frequency, intensity and candor of contacts that speak for themselves. Our dialogues have moved well beyond orthodox stocktaking of bilateral issues and an exchange of views on global ones. We are now talking defense cooperation, counter-terrorism and homeland security with as much ease as we are energy, education or health. That we discuss East Asia regularly reflects our confidence levels as much as our doing trilateral dialogues with Japan and with Afghanistan. Expanding such conversations to cover the Indian Ocean region is the next step in this direction. Our economic interactions have similarly undergone a transformation. A greater sectoral focus and engagement on specific policies and regulations underline that this is for real. Where civil society is concerned, the physical flow of people has been magnified by virtual communications. There is truly cause for satisfaction about the level our ties have reached. 4. Why then is there a problem of sentiment? The fact is that to a considerable degree, we are victims of our own success. The India-US relationship arrived - some would say, at last - and by doing so, ended the romance of the phase of courtship. The change is visible in the less integrated approach we take, leaving each department or agency to handle its counterpart. That no longer allows the luxury of cutting some slack on an account that matters, expecting to make up elsewhere. The willingness to take risks also decreases as there is no longer a great cause to pursue. And grand strategy, once achieved, quickly changes from rocket science to a no-brainer! As we settle into the partnership, it takes a different mindset to address the less exciting chores of maintenance, upkeep and progress. The danger here is that individual problems that may well have been dismissed in the earlier era can now dominate the narrative. 5. This explanation, however, does not suffice in itself. There is also the reality, often glossed over when it comes to our ties, that the world situation changed profoundly even as the relationship was in the making. I refer here to the 2008 financial crisis and its aftermath. This had a particularly sharp impact on American priorities, and with some time lag, on India as well. Conversations changed from grand strategy and geo-politics to more mundane issues of market access and investment conditions. Economic concerns assumed centre stage and every business dispute acquired a greater resonance. As it was bound to happen, this also created fertile ground for sometimes exaggerating the nature of problems and their implications. The big change that I see returning to this account is the salience of tax disputes, localization and IP concerns on the US end and immigration reform, market access, protectionism and totalization on the Indian one. 6. I am also aware that there is considerable disappointment that our nuclear understanding has not translated into substantial business for US companies so far. The debate, as many of you know, revolves around our civil nuclear liability law and its implications. There are discussions underway on how this issue can be addressed to the satisfaction of suppliers and recipient alike, taking into account the Indian legal and regulatory framework as well as the international convention. The nuclear initiative has surmounted past challenges and speaking from experience, it must be approached with a positive spirit. Let me make another point in this context that is often overlooked. I recall our Prime Minister telling Secretary Kerry - then a U.S. Senator - that our nuclear differences were a thorn stuck in the throat of our relationship. 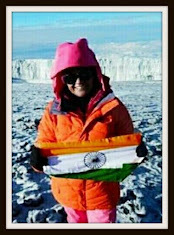 By reaching an understanding, the way was cleared for a much warmer relationship between us. To my mind, the indirect benefits flowing from the Indo-U.S. civil nuclear agreement far outweigh the direct ones. 7. Another issue that dampened sentiment somewhat was our not choosing an American supplier for our medium multi-role combat aircraft. As someone involved in the initial phase of that exercise, let me testify to the process difficulties at the US end and the challenge of creating a template for a country like India. There was also a sense of entitlement on the American side, which the last time I checked, is the prerogative of the customer. Subsequent events have disproven the political inferences that many drew from that episode. The Indian Air Force is today second only to the USAF in its fleet of C17 Globemaster heavy lift aircraft. The Indian Navy introduced the P8 Poseidon maritime surveillance aircraft at the same time as did the US Navy. We have just cleared an additional order of C130J Super Hercules aircraft. Unlike many other recipients of American military hardware, India actually pays for these acquisitions. Nor does India ever given cause for technology protection concerns. It is also encouraging that an India-specific acquisition and co-production template is now under development in the Pentagon. The rest of the defense relationship is doing well too. The United States is the country with which our Armed Forces conduct the maximum number of exercises. These, I might add, have been growing in complexity. This year, India would be a full participant in the RIMPAC exercises for the first time, deploying naval assets in that regard. . Our policy dialogues and military exchanges have also grown in their frequency and comfort level. 8. Geo-strategic convergence is still the core of our relationship even if it is more circumspectly expressed in day-to-day diplomacy. Looking across the global expanse, our concerns overlap to a large extent as do sources of our threat. As a result, our national security structures are engaged in the broadest possible sense. Even as the U.S. recovers economically and strategically, the case for working with India has only gotten stronger. There is a broad consensus in this town that any future security strategy has to be more partnership based. To our West, there are uncertainties arising out of the 2014 draw-down scenario from Afghanistan and its consequences. To our East, maritime claims and disputes have heightened tension in the Indo-Pacific region. Overall, Asia has become politically more volatile, yet economically more central. How India's 'Look East' policy meets the United States' rebalancing will have a significance beyond our individual interests. In addressing that and other pressing challenges, we would serve each other's interests best by being ourselves. After all, India and the United States do have a common commitment to a peaceful, pluralistic and progressive world. And no one should dispute that, as a liberal democratic society, India's rise poses no challenge to American values. 9. In the nearer term, our diplomats and strategists are naturally confronted with a myriad of issues of international politics. We seem to agree on many of these issues but differ on some. That should not be surprising as our broad political and security goals are not in contradiction. At the same time, we must also acknowledge that our experiences, understanding and interests are not identical. Differences can, of course, be played up by a constituency pushing a particular cause. There is also the temptation to be transactional under pressure. On issues of economic development, we cannot ignore the plain truth that we have very different situations at home. This makes us often sit on opposite sides of the table. It is important to understand that negotiations on some of the more difficult issues are independent of our bilateral ties. At the end of the day, our overall relationship is larger than the individual problems we examine and debate. Having said that, it is also important that we resist calls to return to arguments of the past. The current phase of our ties came about precisely because there was a more acute understanding of the growing weight and potential of India by the United States. That must continue if we are to forge ahead. 10. Our economic cooperation is based on a counterpart of this broad vision. This has allowed the relationship to foster an exchange of goods, capital and services and build new constituencies of support. Trade has quadrupled to $100 billion in the last seven years. Investments have crossed the $ 50 billion mark. While putting behind us the famous description of economic cooperation being as flat as a chapati, we do have to contend today with the compulsions of the post-2008 era. As a result, we are now entering a period that established partners of the U.S. are more familiar with but which is still a novel experience for us Indians. 11. Let me make four big points here. One, we do recognize that the slowdown in India is not just the result of the global crisis. Reviving growth through increasing investment is our foremost priority. An empowered committee has cleared 286 stalled infrastructure projects worth $ 97 billion last year. Our government's fiscal deficit, a serious source of concern, has also been brought down sharply. An improvement in the economic mood back home will surely lift our bilateral interactions. Two, India is concerned about its reputation, and we mean to act to show that we are open to international business. That is evident from the recent announcement of "Safe Harbor" rules, the clarification of transfer pricing regulations, efforts at limiting the impact of the 'Preferential Market Access' policy for IT and telecommunications on the private sector, and maintaining the 100% FDI limit on brown field pharmaceutical acquisitions. An important mechanism to discuss and resolve tax disputes has been reactivated and will be meeting in Washington next fortnight. And discussions on the Bilateral Investment Treaty are also set to resume very shortly. Three, we could continue a public argument on trade and investment issues - both sides have their own narrative of woes - or move to a more constructive, if less public, dialogue. In my early contacts with the Administration, I have made clear our preference is for the latter. But if presented with the former, I fear that as naturally argumentative people, we could be well be tempted to respond in kind. Four, on some issues, we need to find an acceptable compromise because the fact is that we are coming at it from different places. The pharmaceutical business is a good example and triangulating affordability, profits, and respect for intellectual property is a challenge that merits more consideration. 12. Since the economy is now so central to our ties, I would also like to make it very clear that India's interests warrant supporting an early American recovery. Not enough credit has been given to the investments that Indian companies have made here since 2008. A recent study of 68 Indian companies revealed that their collective investments in the US exceed $ 17 billion. One third of them are actively engaged in R&D here, spending about $ 350 million in that respect. Similarly, the Indian aircraft orders that I spoke about earlier alone support 40,000 jobs in the defense industry. A fair dialogue should also take into account Indian priorities and concerns. Here, the bottom line is that the costs of doing business in the United States are systematically under pressure from competitors. A worrying sign is the tendency by some to demonize the business climate in India. This tactic could well end up being counterproductive. 13. You could reasonably ask what I would say about our ties to an Indian audience. To them, I would make two basic points. One, that to realize India's four key priorities - energizing the economy, raising our technology and management capabilities, securing the homeland, and ensuring a favorable balance of power - the United States is the indispensable partner. Two, these big Indian goals are not at odds with the interests of the US. In fact, these could even be complementary. 14. Relationship building is never without challenges. Some of it is structural; the rest emanates from our different histories. The U.S. has to overcome its inclination to view ties through the lens of alliance practices. Indians perhaps have to indulge themselves less in compulsive ambiguity. Ironically, American complaints on that score usually come when it too is considering hedging. Building ties requires a degree of give and take that can test officialdoms. Appreciating each other's interests can be more difficult than we generally assume. And contrary to what many seem to believe here, domestic politics is not just the prerogative of the United States. 15. In going about my task as Ambassador, I draw support from the vast goodwill that now characterizes the attitudes of our societies to the other. The grand strategy underwriting our ties is fundamentally sound. It needs maintenance and from time to time, an upgrade. That puts the emphasis on detailing and problem solving. 16. For those of us who have devoted time and energy to building Indo-U.S. ties, the last few weeks have been truly distressing. What I have encountered since my arrival is the sense that this situation should never have happened. But since it did, we will now have to work through this problem. That is part of the conversations underway. But what the issue does highlight is the need for greater sensitivity, for better understanding and for stronger oversight of our ties. I rest my case on that note.